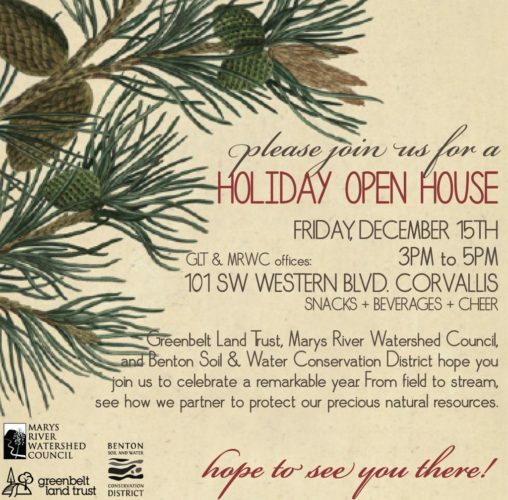 Please join Marys River Watershed Council for a public open house and holiday gathering hosted jointly by Greenbelt Land Trust, and Benton Soil & Water Conservation District. Visit with staff, volunteers, and friends while learning about our projects and partnerships. There’s a lot to celebrate this year! Enjoy hot cider and holiday treats. We look forward to seeing you!